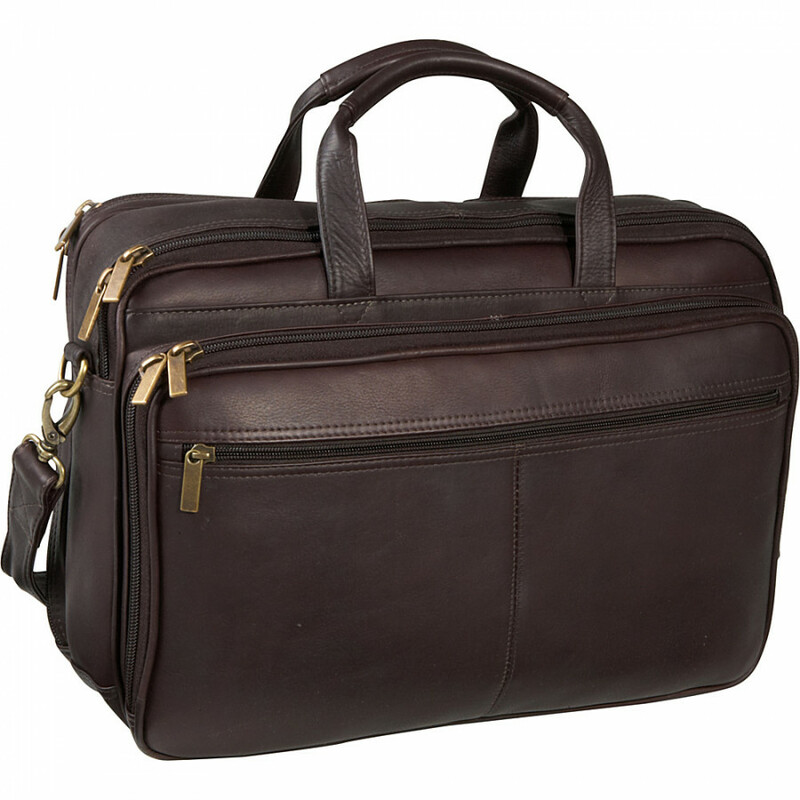 The Le Donne Leather Dual Compartment Computer Briefcase is perfect for todays busy professional or student, this laptop case keeps your business or school essentials neatly organized ans your laptop well protected. Handcrafted from genuine Colombian full grain leather this luxurious leather briefcase features multiple pockets and compartments to organize all of your most important items. 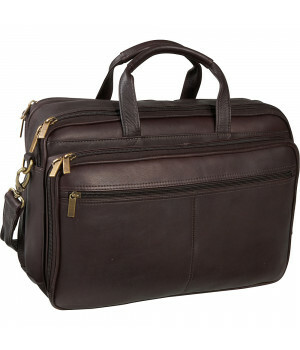 This brief includes a zippered main compartment with a padded laptop sleeve and pockets for your mouse and cables, a zip around rear compartment with a three file divided interior to hold folders and documents, and a zip down organizer with pockets for your cell phone, pens, business cards, and other small items. Dual Cmpt Computer Brief ..